Greg at Tian'anmen Square in Beijing. 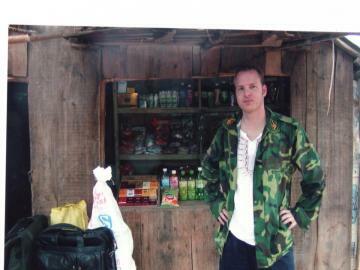 This was the first of several site visits to China. 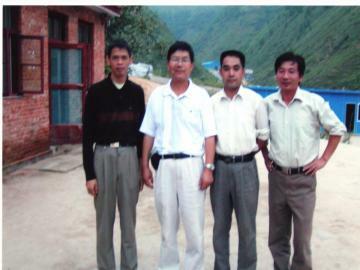 This visit was for Silver Corp Metals. Portal to the underground Silver Corp Mine. Incredible visual of high grade silver veins! This tunnel was two kilometers long and the vein follows along the ceiling. The company had identified the vein ran 80 meters above this tunnel. 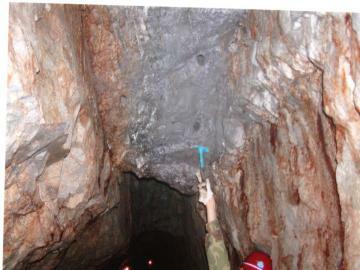 The depth of the mineralization that ran below our feet had not yet been determined. I was in 8 such tunnels on the Silver Corp Metals project. Haul traffic within the mine. Another visual of high grade silver vein. This mineralization was the richest I have ever seen. Another great visual of high grade silver vein. Extreme high grade silver vein. This material could go straight to the smelter and did not need processing. The Silver Corp Metals exploration team. 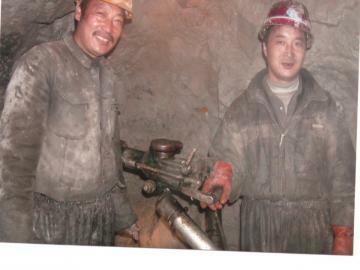 Picture of some of the miners I met underground. They are responsible for drilling holes and placing dynamite. After the dynamite is blown, this is what the miners need to remove with hand carts. A bag of super high grade rocks. 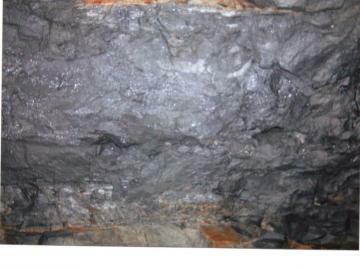 Section of extreme high grade. 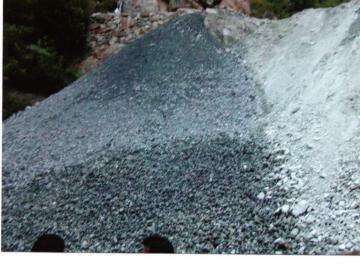 The super high grade material was placed in bags that would be delivered directly to the smelter. This is like money in the bank. I referred to this mine as a natural earth ATM machine. 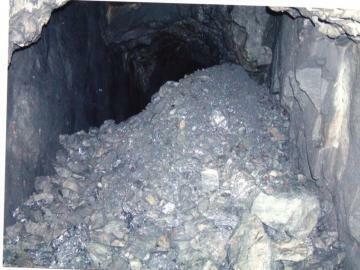 Once the material was brought out of the mine, it was divided into high grade (dark rocks) and lower grade (light rocks). 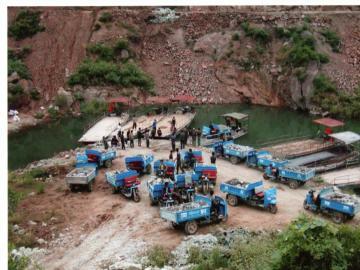 Drivers of these small trucks would haul the ore down to these river boats that would take the ore for processing or to the smelter. Financial analyst Rod from Toronto at the local 7/11 store. 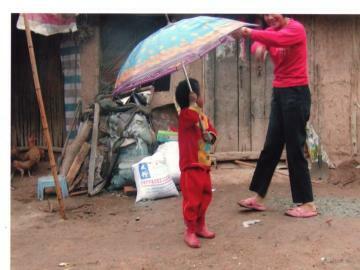 Cute little girl of one of the mine workers and her mother. I was trying to give her a $20 bill and she got a bit shy. Her mother was trying to encourage her to go get it. 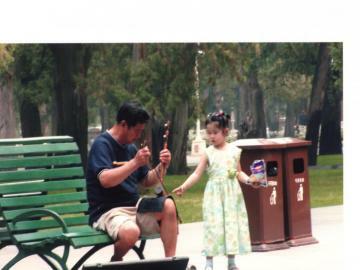 Adorable picture I caught of a cute little girl in the park in Beijing who was curious about this park bench musician. Her mother was nearby. 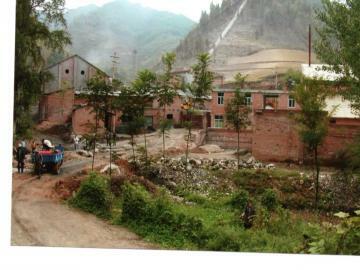 Processing plant for material mined at the Silver Corp mine.